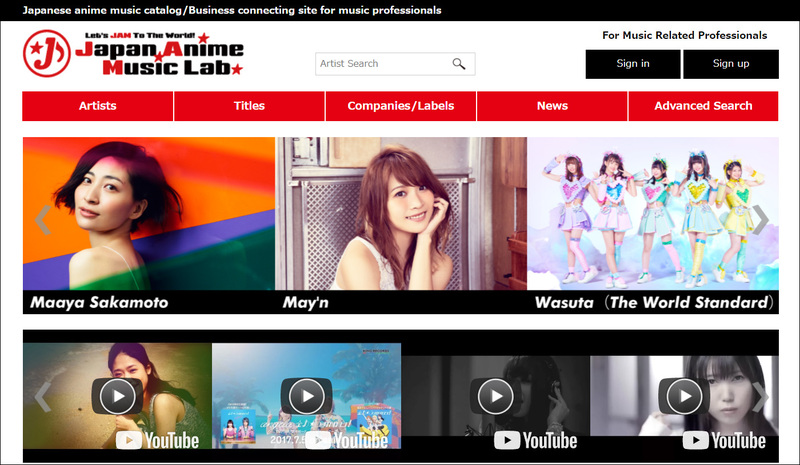 Several recording artists from Lantis, the preeminent Tokyo-based record label specializing in anisong artists and video game music, are featured on the Japan Anime Music Lab. 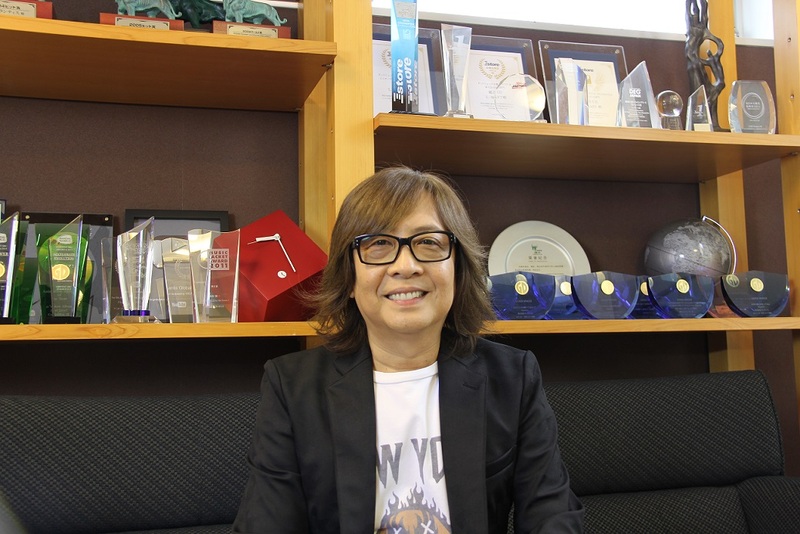 website, which serves as an official information hub to connect international audiences and entertainment industry professionals with the top echelon of Japanese anisong artists and their official representatives. Lantis is also the sponsor and partner of the Anisong World Matsuri event series, which presented performances in Los Angeles (Anime Expo), Washington, DC (Otakon), and Shanghai, China in 2017. Watch the video interview with Mr. Inoue here. Extra: Check out JAMLAB.’s in-depth discussion with Mr. Inoue about his 40-year career in Japanese music here. Presented by PROMIC, the leading Japanese entertainment industry foundation supporting the growth of Japanese music internationally, JAMLAB.’s booth and its new website were items of keen focus for fans and music and anime industry professionals at Anime Japan 2018 earlier this month. JAMLAB. also plans to participate and exhibit this summer at Anime Expo, North America’s most popular anime convention, to bring further awareness about anisong culture and Japanese music artists to U.S. fans. Japanese companies and record labels participating in JAMLAB. currently include AVEX, SACRA MUSIC (a Sony Music label), Lantis, King Record, Pony Canyon, Flying Dog, Yoshimoto Music Entertainment, For Life Music Entertainment, NBCUniversal Entertainment Japan, MAGES., Being, Nippon Columbia, Tokuma Japan Communications, and Toho Music. Artists currently featured on the JAMLAB. website include: Maaya Sakamoto, Nana Mizuki, May’n, Ali Project, LiSA, JAM Project, Kalafina, EGOIST, ClariS, GARNiDELiA, Konomi Suzuki, fripSide, Nagi Yanagi, and Kanoko Ito. The Foundation for the Promotion of Music Industry and Culture (PROMIC) is a Japanese foundation created in 1993 to support the growth of Japanese music internationally and to promote international business relationships through music. The foundation is supported by the Japanese music industry and the main supporting members of the foundation are; major Japanese record labels and music trade bodies and associations representing; artists, performers, record labels, management companies, music publishers, concert promoters and music retailers. In 2017, PROMIC took on the international outbound promotional responsibilities of the Japanese recorded music organization and local IFPI national group, Recording Industry Association of Japan (RIAJ). A key PROMIC annual project is the annual Tokyo International Music Market (TIMM), the largest Japanese international B-to-B music convention. The event is supported by the Ministry of Economy, Trade and Industry (METI) and the 14th edition was held in October 2017 and was attended by more than 5,000 music industry executives, artists, and other professionals from around the globe.